Totem Element Ember review | What Hi-Fi? Whether you take to Totem’s Element Embers or not depends largely on your priorities. If you’re after the last word in sonic refinement or neutral tonality, we can think of a whole host of rivals that do better. Really want to enjoy your music? Well, in that case, the Embers deserve serious attention. 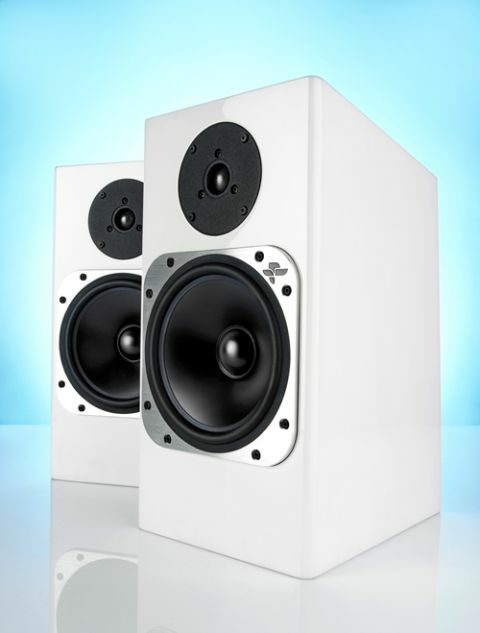 In certain areas of performance, these speakers are as good as things get for two-way standmounters. They time immaculately. Feed the Totems Michael Jackson’s Wanna Be Startin’ Somethin’ and you’re in for a treat. That hard-driving rhythm track motors along with a feeling of unstoppable momentum. It’s underpinned by a surprisingly solid and weighty bassline that positively brims with texture and agility. We’re struck by the punch these little 36cm-tall speakers are capable of, and their ability to keep the recording’s complex instrumentation organised. When it comes to communicating a song’s sense of energy and excitement we can’t think of a better alternative. Shifting gear to The Hobbit OST shows that the Embers are multi-talented. Here they deliver a sound of impressive authority for such a compact design, delivering large-scale dynamic shifts with plenty of composure. We’re also wowed by their insight – these speakers dig deeply as far as detail is concerned. Take care with positioning – we ended up with the speakers set well into the room with just a hint of toe-in towards the listener – and they deliver a pleasing soundstage. It’s nicely precise and well layered, although the stylish B&W 805Ds do even better in this respect. Spinning The Beatles’ Yesterday reveals the Embers’ sensitive side. Paul McCartney’s familiar yet still-touching vocal is delivered with real finesse and no dilution of emotion. If there’s any emotion, energy or entertainment to be had, you can be sure these standmounters will find it. They’re not quite flawless though. We’ve come across more refined rivals – ones that sound more relaxing to listen to – and there is just a hint of roughness in the upper reaches of the Embers’ otherwise talented midrange. Is any of this enough to diminish our enthusiasm for these speakers? Probably not. Any hi-fi product is a balancing act between different aspects of sound, and rivals that better these Totems in tonality and refinement lose out when it comes to timing and dynamics. Of course, this level of performance isn’t guaranteed; much depends on the partnering system. We used the Clearaudio Ovation record player and our reference Naim NDS/555PS streamer as sources for most of the test, with Bryston’s ever-dependable BP26/4BSST2 pre/power combination to drive things along. Brief stints with lower-priced (but still talented) kit showed that the Embers’ performance is an accurate reflection of the rest of the system. You only get out what you put in. Take a look inside and you’ll see that the Embers are different from the norm. Totem makes a great deal of the mid/bass driver, which was engineered in-house. This 15cm unit is used without a crossover so, rather than the driver’s output being rolled-off at the top end electrically – the conventional way to do it – it rolls off mechanically. A 19mm tweeter rolls in just below 4kHz to cover the areas where the mid/bass driver doesn’t reach. It gels really well with the mid/bass unit and shares the insightful yet entertaining balance of the rest of the frequency range. The Embers are wonderfully talented speakers. If you’ve got a system that makes the most of their dynamics and timing while being refined enough to underplay weaker areas we think you’ll love them. In their areas of strength we haven’t heard better at this price.